As avid online shoppers ourselves, we know that shipping can be a barrier. We want to make things as accessible and fair as possible. Customers have spoken, the #1 thing they want is free shipping. Well, here you go Toques. 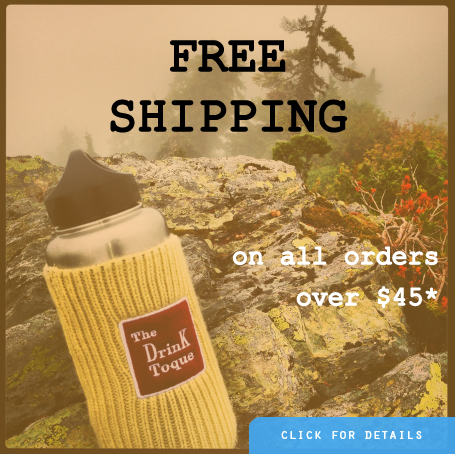 More Drink Toques, more fun, ... annnnd free shipping on qualifying orders. * Free Shipping on all orders over $45 (pre-tax) within North America, orders over $60 everywhere else. * No special promo code needed, the option will automatically appear on all qualifying orders. Simply select the Free Shipping option as the Shipping Method during the Checkout process.